Very successful first season racing in US. 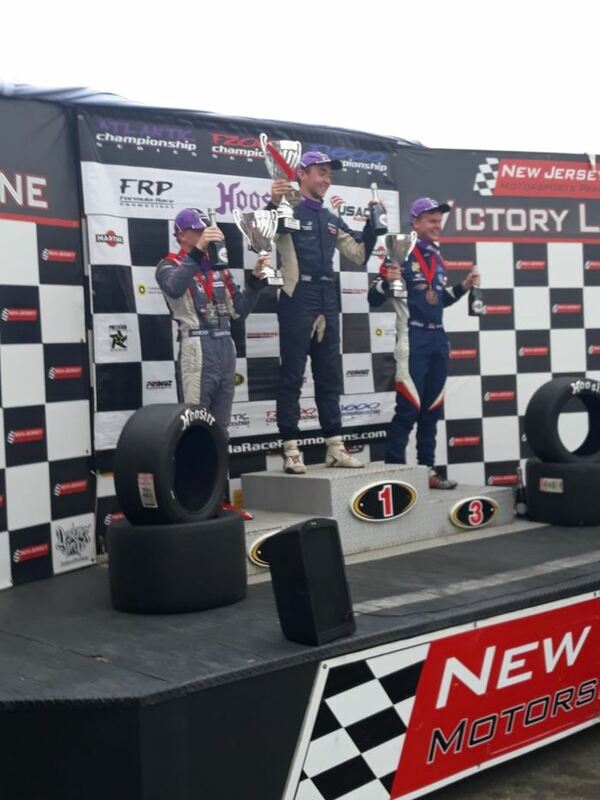 Sheboygan Falls, Wisconsin – September 18, 2018 – James Roe Jr., of Naas, Kildare County, Ireland capped off his debut season racing in the US at the 13 turn 2.25 mile New Jersey Motorsports Park by driving his Mazda-powered Elan race car to a Win and a 3rd place finish propelling him to a 2nd place finish in the overall championship. Roe Jr. came into the weekend P4 of the season championship. Positions 2 through 5 of the championship were tightly grouped, separated by a total of 31 points. Roe Jr. was not only looking for strong individual race performances, but to move up in the season championship standings – he was able to achieve both. Practice went smoothly for Roe Jr. In Practice 1 he was quickest by a staggering 4 seconds on a damp track. Practice 2 was run under dry conditions with Roe Jr. ending up P2 after being P1 until the last lap. For Race 2, Roe Jr. started from P4 following an incredibly competitive qualifying session with the top 4 cars being separated by a mere .083 seconds. Roe Jr. ended up finishing on the podium in 3rd place. “Race 2 was a little frustrating” said Roe. Jr. “The start was messy as the leader never did a rolling start from pole position before. I fell back some places initially then worked on getting back up the order. By the time I got back into P3 the lead two had broken away. It was a pity as I had a fast car, fast enough for the fastest race lap”.